This work contains useful information on approximately 100 carefully selected topics pertinent to modern practice in clinical general surgery. Wherever possible the information is presented in a uniform manner, with the focus on diagnosis and management. A critical thinking study guide to accompany medical-surgical nursing. In eleven landmark operations, Thomas Morris tells us stories of triumph, reckless bravery, swaggering arrogance, jealousy and rivalry, and incredible ingenuity, from the trail-blazing `blue baby' procedure to the first human heart transplant. Explores the nature of surgical nursing in all its guises, addressing issues and measuring outcomes. This book explains the principles, which underlie the nursing care of patients throughout their surgical journey. 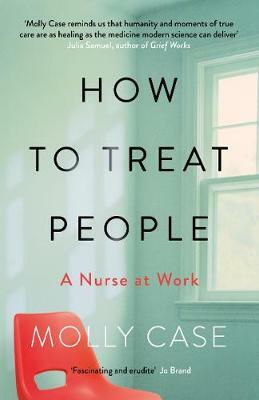 The text will help nurses develop their role and their philosophy of care in the improvement of patient management. Contains a wealth of essential wound care information for nurses. This title focuses on the needs of nurses who are new to wound care practice, covering all the fundamentals of wound care including wound healing, wound assessment, cleansing and dressing selection and adjunctive therapies. This is a unique, truly portable, and comprehensive handbook of ENT aimed at medical students and junior doctors. The detailed management plans and rationale for treatments, along with their advantages and disadvantages are useful for anyone managing patients with ENT and head and neck disorders. Provides a look at the multifaceted role of the perioperative nurse. This book presents the main issues influencing perioperative practice. Ranging from risk assessment and health and safety to ethics, quality and new technology, it helps capture the essence of the challenges of working in the high impact environment of the perioperative field. Offers an overview of the major body systems and the diseases and disorders that can affect them. This book helps you learn about hallmark signs and symptoms, treatment, and nursing intervention so you have the knowledge to help your patients as a student and as a nurse once you start your career.